I invite you to fall in love with the magic that is writing with the proven tools on story structure, scene creation, plot, voice, and character. of kick in the pants. Get the #1 Bestseller On Amazon Here! This book is designed to help you break through the many troubles that stop authors from creating that great story inside of them. Realize you don’t have a map. Can’t quite articulate your idea or synthesize all that you want to say. Wonder how to give your idea shape and structure. Are not sure how to find or express your authentic writer’s voice. Are faced with feelings of being anxious or overwhelmed. Wonder how to organize your time so that you will actually complete your mission. Fear that you won’t know what to do next once it’s complete! How do I know all that? Because you are in good company. Most aspiring writers face similar struggles. But don’t worry. There is the good news. There is a path. There are specific and concrete tools that can help you. You don’t have to do it alone. And it can be a tremendous amount of fun. If there was a way to tap into the magic of YOU and get that on the page? How to organize your ideas into a thought-provoking book that people can’t put down? If writing a book about your area of expertise might be the dynamic push your career needs? If yes, join me, your master writing coach and a general good witch of writing, on the journey to unlock the book that is inside of you. I will guide you step-by-step through the writer-tested-and-approved Three-Key Method. → to choosing a template and creating your outline (then connecting to and radiating your own kind of brilliance). If you have ever thought, I should write a book about X to inspire others, this is the guide you need. The author (I have her first writing book as well) has a super friendly, supportive, cheerleading style that immediately puts you at ease. She breaks down how to write “thought leader” books into 3 types, then gives you tools to achieve that and find your voice. Also, it’s full of examples, so you can see exactly how it plays out in real-life successful books. Will definitely be gifting this to some female friends who I’d love to see write books. From page one, this book had me wanting to ROAR! Marni’s humor, insight and easy to follow instructions have me turning the pages and wanting more. She motivates with humor and intellect while creating a practical guide for transforming the ideas and knowledge bouncing around in an aspiring writer’s head to words on a page, to the finished product. 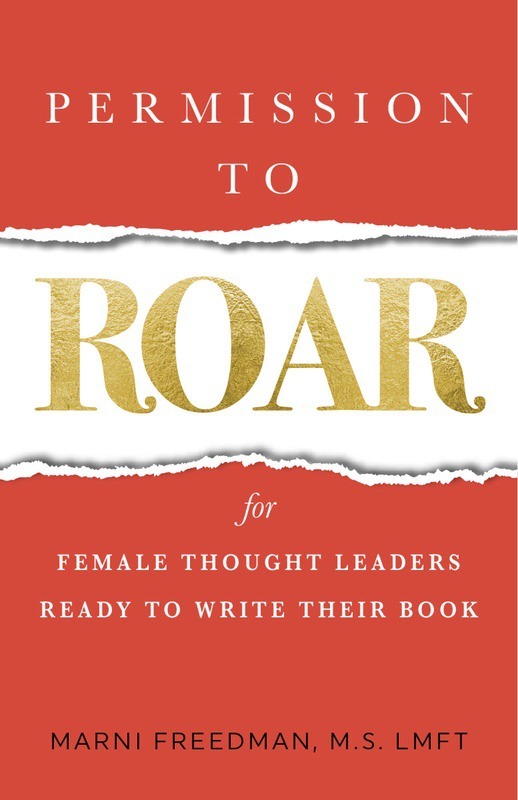 Permission to Roar is packed with valuable information and easy to follow tools that help bring our voices onto the page and out into the world. 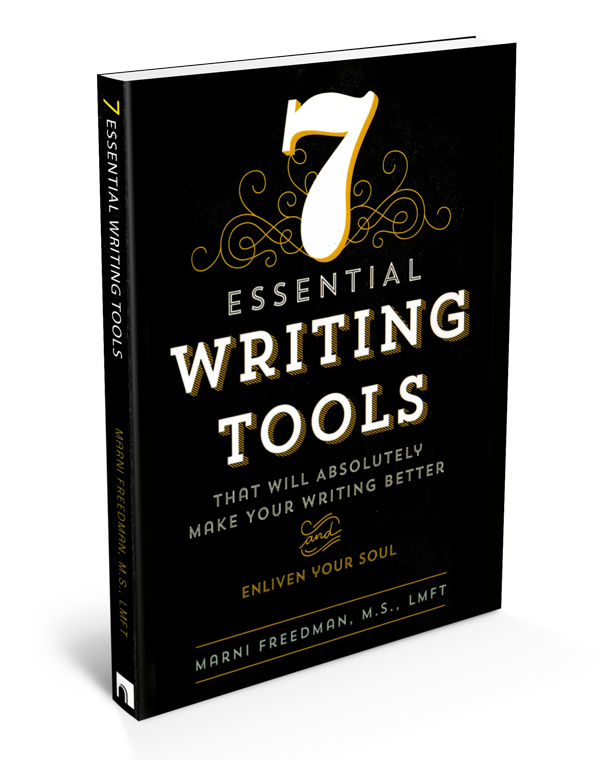 My copy of her previous book “7 Essential Writing Tools” is filled w/ highlighting, tabs and sticky notes to keep track of all the helpful information. Permission to Roar is looking the same. I am blown away at the quality, spirit and helpful information jam packed in this book! I have no less than 4,237 books by other writers on writing on my shelf and “Permission to ROAR” is the BEST!! Hands and pens down! Marni is, in person warm, kind, brilliant, encouraging and absolutely full to the brim with real world, top notch, heavy duty experience. She really is a master. If you’re an inspiring writer of all levels…and not able to enlist her coaching services….you MUST BUY THIS BOOK!!! If you are able to enlist her coaching services you MUST BUY THIS BOOK!!! It has become my beach read…seriously. I can’t wait to dig in again, and again, and again finding new jewels, practical tips and techniques and inspiration with each pass. “Permission to ROAR” is a book which I’m convinced is bound to become a classic in the genre. It's like having a top writing coach sitting next to you throughout your writing process!!!! 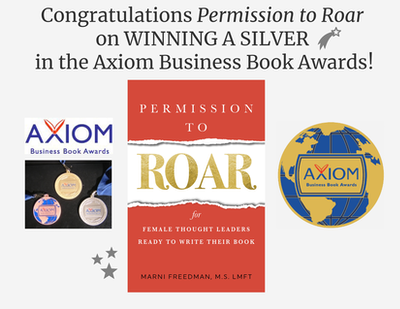 Reading Permission to Roar by Marni Freedman feels like she’s sitting in my living room, guiding me step by step in the process of writing a book, and cheering me along the way as I do. I am so inspired by this informative and delicious narrative that I’ve already begun to outline my next book. Marni is a community builder among writers and I encourage you, even if you aren’t sure about writing a book…rather ESPECIALLY if you aren’t sure about writing a book, to get a copy and read it. Now more than ever we need women’s voices. Permission granted! An empowering read for a moment in time when women need to ROAR! An inspirational guide to writing a book, Permission to Roar is filled with humor, wisdom, and practical advice. In her unique, thoroughly approachable style, Marni takes the reader step by step through the process—from brainstorming ideas to editing and proofreading a manuscript—providing useful templates, examples, and references. Read this book with a pen in your hand and get ready to write! Believe in yourself and get ready to write! Loved the book. So much wonderful information and support to find your “best self” through writing. Permission to ROAR is an elegantly written and presented guide to gathering your courage to tell/write your story. This book abounds in templates, solid advice and encouragement from a compassionate well qualified writing coach. You can’t help but be inspired and encouraged to write your story. Having this book is not only a how/to guide but like having a best friend/cheerleader egging you on to be and write from a place of authenticity. This book is for both beginners and advanced writers. Anyone who reads it will find its kind instructive tone helpful. Buy this book! It will be most useful and when you ROAR you’ll be glad you did! I wish I’d had this book 10 years ago. So many competent women, with a lot to say, hold back and defer. This is the perfect book for this time. It has the right combination of how to skills, motivational nuggets, and writing coach inspiration, to get you in the chair banging on the keys. I’m buying several copies for my friends. This is a book we will be talking about for years to come. Marni is simply the best! Her approach as a writing coach is one of patience, compassion, and complete professionalism. This, combined with her wealth of knowledge about the writing process, has reenergized my creativity and given me the perfect amount of structure to keep my pen moving. Not only am I thrilled with what I am creating, but I am having so much fun telling my story! I am so grateful to her! As a first time screenwriter, I couldn’t be more pleased with Marni’s depth of knowledge and understanding of the screenwriting writing process that she brings to her writing group. Her style is to listen to your words, ask insightful questions, suggest options for improvement, inspire new ideas, and encourage you to completion. I no longer feel alone when I face the blank page. Marni is there and she knows what I’m going through. The best part of my week is spent in her writer’s group where I find the strength and courage to keep writing. Marni Freedman really brings it as a writing workshop leader. 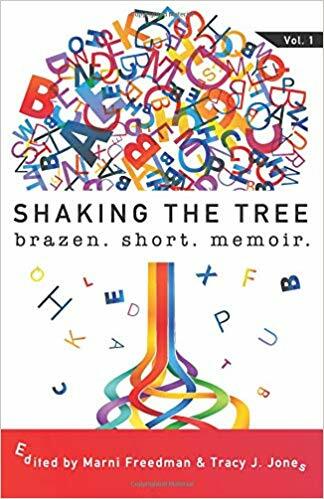 Combining warmth, candor, and humor with writing and industry chops, she creates an environment in which participants feel energized, involved, and inspired to share their unique voice. With an astute eye for character and structure, she can pinpoint writing problems, yet facilitate a discussion so that a writer feels supported rather than lambasted. With her knowledge and experience with screenwriting and other forms, she serves as a great guide for those seeking a pathway into the writing profession. Marni is insightful, warm, and full of incredibly useful/ usable information on the craft of screen writing. From tightening structure, to more subtle tips for those elusive moments of character development that make a movie magical, her workshops are a treasure trove for those serious about taking their work to the next level. I can’t recommend her highly enough.